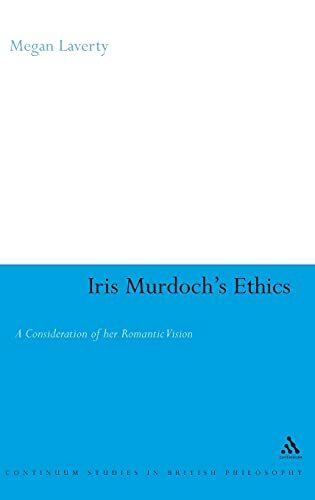 In Iris Murdoch's Ethics: A Consideration of Her Romantic Vision, Megan Laverty draws upon the tradition of 'Philosophical Romanticism' to account for Murdoch's enigmatical quality and her embrace of paradoxical truths. Laverty's provocative, yet accessible, study analyses Murdoch's version of Kant's Copernican Revolution, the centrality of learning and the sublime to Murdoch's redemptive vision, and Murdoch's understanding of philosophy, imagination, freedom, love and art. <br />Laverty interprets Murdoch's emphasis on humility and attention as a critique of the Romantic emphasis on irony and self-creation. Drawing on a range of literary and philosophical sources, Laverty's study is a testimony to the ongoing significance of Murdoch's contribution to a broad range of contemporary philosophical concerns.